I first tried this independently bottled Mortlach at Whiskies of the World Expo last year and made a note about how much I enjoyed it. I sought out a bottle and found one at Caskers.com for $80. That’s more than I’d usually spend on an unknown quantity, but having tried it at the show I knew it was worth the scratch. How’s that for a case study in how tastings lead to sales, whisky industry? Mortlach is an unusual distillery. Like Springbank, it has a unique and convoluted distillation process that involves “partial triple distillation” or “2.7 times distillation” which I won’t even try to describe here. Mortlach has six stills of vastly different types and sizes, and has been around since 1823 (and a major component in the Johnnie Walker blends since 1923). Owned by Diageo, it has not had much of a presence in the single-malt scene aside from one-offs from independents (like this one) or special releases from Diageo. Until last year, that is, when Diageo announced new packaging and a corresponding new brand strategy for Mortlach single malt, aiming at the premium market. The entry-level “Rare Old” expression, with no age statement, is more than $100 (!!!) a bottle, when you can find it in the US. Yikes. That’s bad news for me, because I love Mortlach’s house character. When aged in sherry, as it often is, it becomes a mysterious amalgamation of sweet and savory. Think pineapple on pizza, brown sugar in jerky or barbecue glaze on ribs. It’s considered “beefy” and has given heft and texture to blends for almost two centuries, but stands on its own as a luscious and satisfying dram. 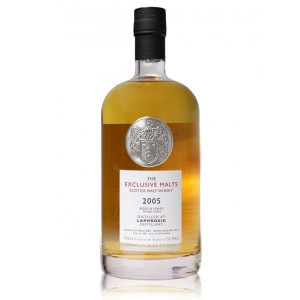 This Gordon & MacPhail bottling at 15 years of age is from a refill sherry cask and bottled at 43% ABV. Nose: Meaty dried figs, sweet fresh hay, and something savory like a soy sauce glaze on short ribs. Elegant and robust, although none of the aromas are overdone. 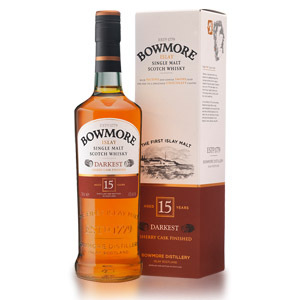 Unmistakably sherried, but not a “sherry bomb”. A slight smoky vegetal note arises after a rest in the glass – smouldering wet leaves – although the effect is not strong enough to call it peat. Palate: Heavy bodied – almost oily. Like the aroma, the flavor balances sweet and savory, with jam and cooked fruit flavors marrying with toasted oats and buttery oak. The effect on the tongue is heavy, slightly sweet, and complex. Finish: Medium-long, and warming. Stewed plums, coffee cake, and wet hay. Not bitter. With Water: A few drops of water seem to bring out a weird vegetable aroma – almost like celery. Weird. Certainly experiment with a little water, once you reach the bottom of your glass, but otherwise there’s no need for water here. Overall: A stately, refined example of sherried Mortlach. Something about this distillery speaks of the Scotland of yore. Having never experienced the Scotland of yore, I can only assume it’s the combination of excellent sherry casks with the meaty, oily, rough-around-the-edges malt of Mortlach that gives me the impression. 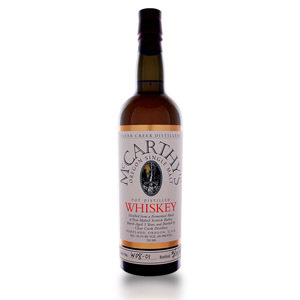 Mortlach is a necessary education for any lover of scotch, and the 15 year-old available currently from Gordon & MacPhail is a fine tutelage, especially considering that the alternative is the official bottling at $110! Mortlach has been a major component in the Johnnie Walker blends since 1923, and a majority of its output is used for blending. The distillery’s few single-malt releases are much prized by whisky drinkers seeking the house characteristic robust meatiness and affinity for sherry aging. Starting in 2014, owner Diageo has made a push to release Mortlach as a “premium” single-malt brand, with associated premium pricing and high-end packaging. The Speyside distillery itself was build in 1823, the first in Dufftown, and passed into and out of service (and through multiple hands) until bought by John Walker & Sons (later becomoiong Diageo) in 1923. Despite several improvements and a refurbishment Mortlach has six stills (three wash, three spirit) of all different sizes, shapes, and origins including a tiny spirit still named the “Wee Witchie” to which the meaty house character is attributed. Similar to Springbank, Mortlach employs a partial triple distillation sometimes called “2.7 times”. The distillery uses cold worm tub condensers, stills heated by indirect steam, six larch washbacks and a semi-lauter mash tun. Process water is drawn from springs that run off of the slopes of Meikle Conval, which collect into the Dullan Water which in turn joins the River Fiddich. After reading many of your updates and reviews, I’ve finally taken a minute to reply. 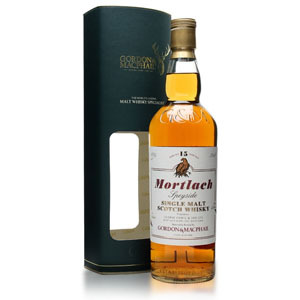 This Mortlach is one I’ve used to introduce a lot of people to Mortlach – with great success! Unfortunately, as you pointed out, the recent “shift” in marketing approach may push Mortlach beyond a price point that I can recommend to most of my friends. Good thing I have stockpiled a number of good IB releases! Keep up the good writing! There are rare times when pricing works in my (relative) favour at the LCBO (Ontario, Canada). 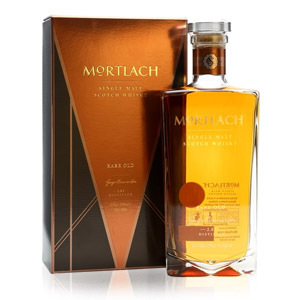 Having heard of the fabled Mortlach for some time, I was tempted by this very bottle when I saw it arrive a few months back. But at $110 CAD, I let it pass by as I didn’t feel like shelling out that much blind. Then this review comes out and I start kicking myself – only to see them bring in this week the more expensive Mortlach Rare Old for only $100 CAD (~$80 USD!). Can’t figure out their pricing sometimes – wine-searcher.com lists the average US price for the Rare Old as $130 USD (~$165 CAD). Of course taste is what matters, and best yet: it was available for tasting at my local flagship store. As expected, the Rare Old was quite nice – definite vanilla, raisin, and cinnamon to my nose/taste buds. I’ve seen it described as sweet fudge in some reviews – but I think crème brûlée is closer. 🙂 Ironically, they had the Rare Old tasting bottle sitting on the shelf between the Auchentoshan 12 and Glenrothes Vintage 1995 (two of my favs) – which is actually a good way to describe its relative flavour positioning. Hopefully you will get a chance to try this one too some day Nathan! Thanks again for all the reviews. Very nice review! I did buy blind, basing my purchase on two things: 1) Mortlach’s reputation, and 2) the owner of my favorite liquor store tries nearly every new arrival, and puts 50, 80, 100 dollar bottles on the top shelf next to one’s upwards of $1,000…it’s funny, because while I reached for this bottle on the top shelf at $108 in Oregon, there were a few bottles on the shelf below that cost more…if he feels a lesser expensive bottle deserves as much respect as a more expensive one, top shelf it goes! He was also kind enough to alert me to the only 2 bottles of A.H. Hirsch 16 that he sold (9 years ago, $110 a piece)…I trust his taste- basically he likes anything good! Much enjoyed your informative review, congrats on your find (they’re disappearing very quickly). I got the display bottle, [last 1] so no box (grr…had to drink it 😀 lol- not a problem! )…very nice pour. I’m getting a weird vegetable aroma too in Sherry-Wood Hart Brot 12! Maybe like a Celery Root? Nose a Wood Syrupty Aroma but enters Dryish! Oily mouth with that beefy cereal grain. Could be a few reused sherry. Very closed.. Water seems increase that vegatition taste.. 1/2 bottle gone now and more Cereal and complex vegatiton aroma. Just not real powerfull barly arrival. Had just Braces of Glenlivet C/S but seems get just Ok rap on net. Info says built for short time blending. Silky thinness and slight scorched teaish wood butut Great barley arrivil like mountain air coming at you the whole way! Not sure location does this or how the barly was dried? Fruity aromas too like from a whisy cake.